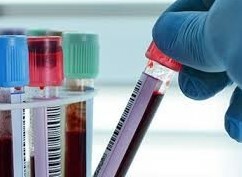 Laboratory Blood Testing Online. SAVE 50-81%! Order blood tests online! • SAVE 50-81% • Laboratory blood testing! A Doctor's "office-visit" is NOT REQUIRED to order your blood tests! Welcome, and thank you for visiting our "Online 24/7 Office", featuring "No Waiting"! "SKIP" THE DOCTOR'S OFFICE VISIT...TIME...EXPENSE. VISIT US "HERE" AND ORDER YOUR BLOOD TESTS "ONLINE" INSTEAD! 2019 is our 18th year of saving U.S. consumers 50-81% on all their blood tests! 2019 also marks our 18th consecutive year earning an "A+" Rating by the Better Business Bureau! Order any of 400+ blood tests here. Our "Online 24/7 M.D." quickly approves them! In the medical field, Health-Tests-Direct is known as a "Direct-Access-Testing" provider. Direct-Access-Testing, or "DAT", is defined as consumer-initiated (as opposed to physician-initiated) testing. Medical professionals commonly refer to DAT variously as “direct-to-consumer”, “self-ordering”, or “patient-authorized” testing. Ordering your own blood tests "right here online" is an example of how you benefit from DAT to substantially reduce your medical expenses! Ordering blood tests for yourself online (i.e., Direct Access Testing) is legally available to "Adults 18+" residents in every state except NY, NJ, and RI. If you live in one of these states, your personal health management options are unfairly limited by them! If you want the advantage of less-costly medical expenses and convenience of self-ordering your blood tests - as our other 47 states have permitted their own residents for almost two decades - call or write your two State Senators and tell them so! What else might we tell you about our company or our "ORDER-VISIT-VIEW" DAT process? How does this work? Our other Frequently-Asked-Questions? Click on ORDERING PAGE. Select tests (Quest Diagnostics or LabCorp). Choose a LAB BLOOD DRAW CENTER. Pay by credit card. Click on Lab Requisition Form and PRINT IT OUT. At your most convenient time (M-F), take your HTD pre-paid Lab Requisition Form to a "draw site" of the Quest or LabCorp lab you chose- each lab has 2,000+; NO appointment needed! Most test results are reported 2-3 days after blood draw. VIEW YOUR RESULTS here on HTD using YOUR UNIQUE PASSWORD. View or print them out 24/7 from your laptop, tablet, or smartphone! Are you NEW to HTD and have more questions? Welcome! More answers will be found in "ALL OUR FAQ'S", at the TOP of every page. Have a "health-related" question? To help you find answers, we've added "OUR HEALTHFUL LINKS", at the BOTTOM of every page. Order your own blood tests from either one of the "Top-Two" labs in the USA: Quest Diagnostics or LabCorp! Determine your greatest possible savings! COMPARE PRICING of BOTH labs BEFORE you order! Or, use our online "CHAT WITH US" feature at bottom-right corner of your screen! Laboratory blood tests can be ordered here online day or night! Yes, order your own blood tests...it's called "Direct-Access-Testing"! Ordering online through HTD is 50-81% LESS COST than if you pay to visit an MD, and they order the exact same tests for you! Laboratory blood tests at deeply discounted prices! A healthy savings alternative from Health-Tests-Direct.com since 2001!